Soaps and body washes are the most common staples that you can find in any bathroom, no matter where you are. 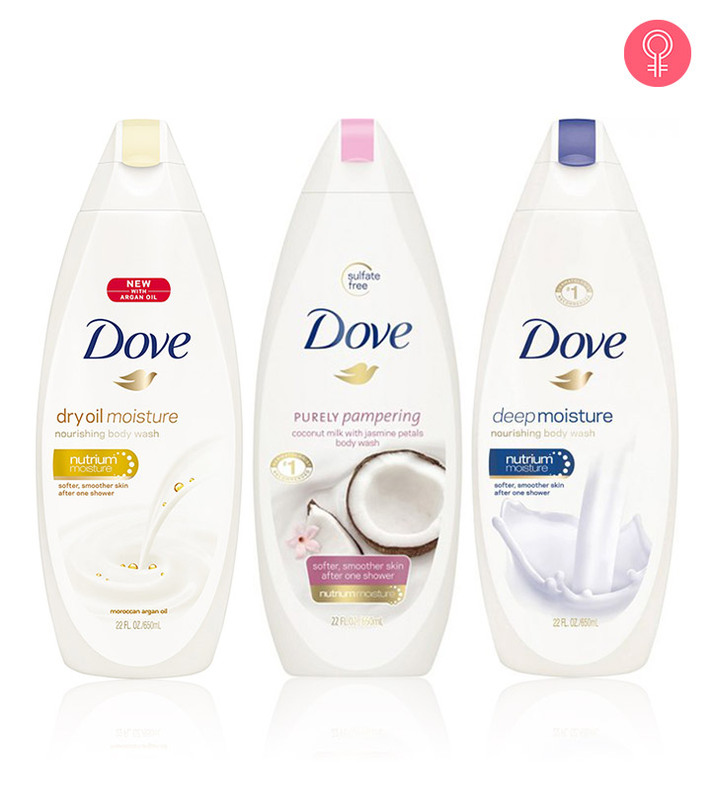 Dove is one of the most well-known brands when it comes to these products. Their beauty bars are especially popular for the gentle cleansing that they offer without drying out your skin. Their body washes too come in a delightful variety of flavors, packed with the most delicious fragrances. Read on below to know about the 10 best Dove soaps and body washes that you must try out this year. 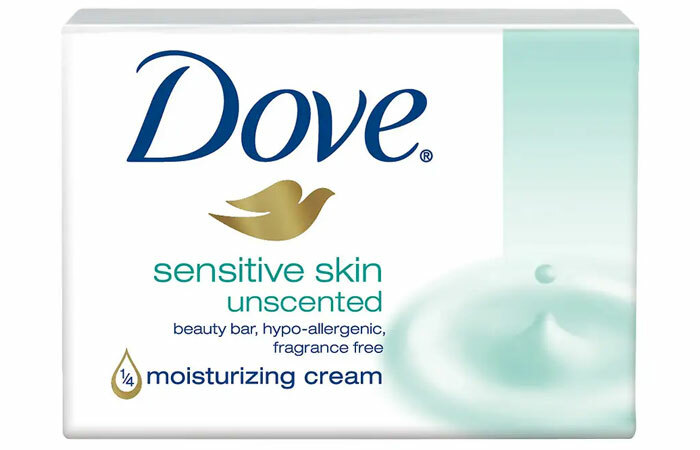 Dove Sensitive Skin Beauty Bar cleanses and nourishes sensitive skin gently without drying it out the way ordinary soap does. 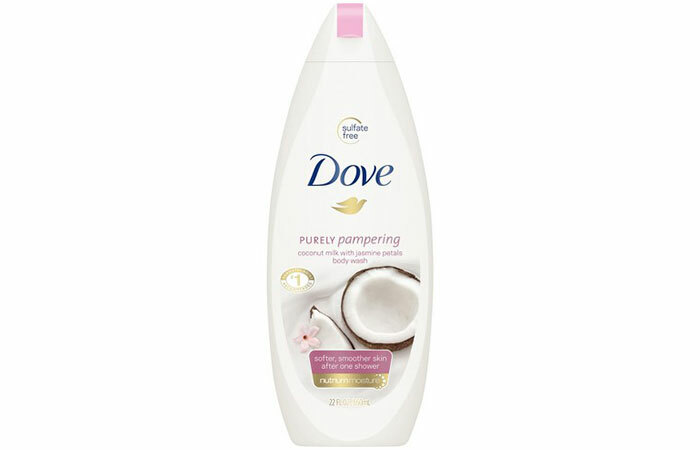 It combines the Dove signature mild formula of 1/4 moisturizing cream with classic Dove cleansers. This bath bar works into a rich, creamy lather and gives you a genuinely gentle cleansing that leaves your skin feeling soft and smooth. 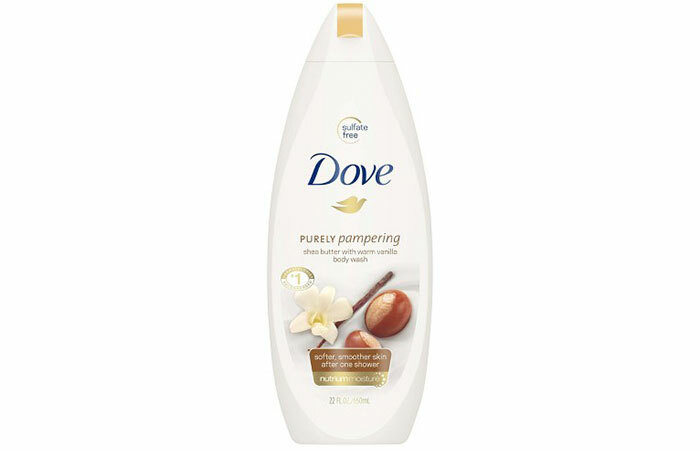 Dove Purely Pampering Coconut Milk with Jasmine Petals Body Wash is a gentle cleanser that comes with Dove’s unique NutriumMoisture technology. NutriumMoisture is a blend of 100% natural moisturizers called lipids, which your skin naturally needs. Unlike the heavy moisturizers in some body washes that sit on the surface of your skin, this is absorbed completely. The creamy lather then rinses clean to leave you with smooth, nourished skin. 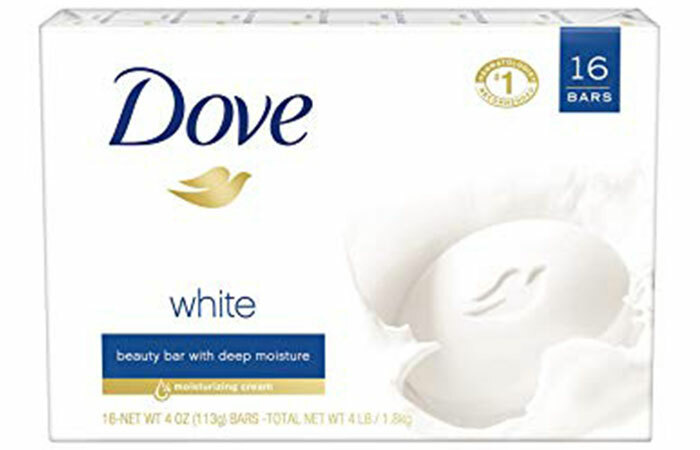 The Dove White Beauty Bar has ¼ moisturizing cream that gently cleanses and moisturizes the skin, giving you smooth skin with a spa-like glow. It has mild cleansers that help your skin retain its natural moisture. It even helps to replenish nutrients that are lost during the cleansing process. It contains a mild surfactant and lots of moisture, which allow it to both hydrate and cleanse your skin effectively. 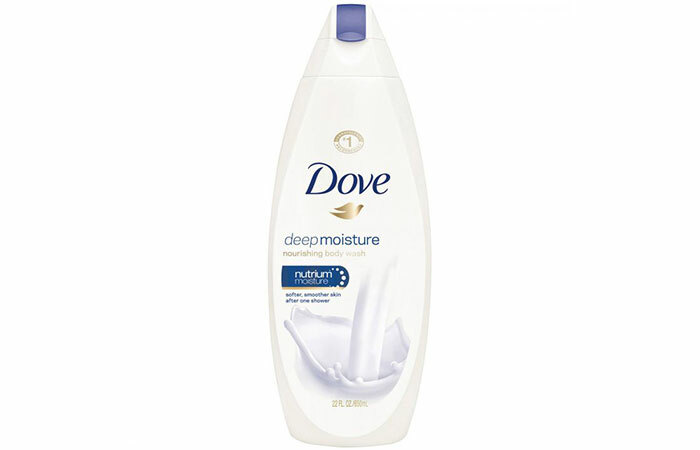 Dove Deep Moisture Body Wash is specially designed to cleanse your skin while minimizing dryness and damage. The ultra-mild formula works into a creamy, rich lather that thoroughly cleanses and then rinses completely without leaving any soapy residue on your skin. The nourishing formula combines NutriumMoisture with Dove’s gentlest ingredients to pamper your skin, leaving it softer and smoother after just one shower. 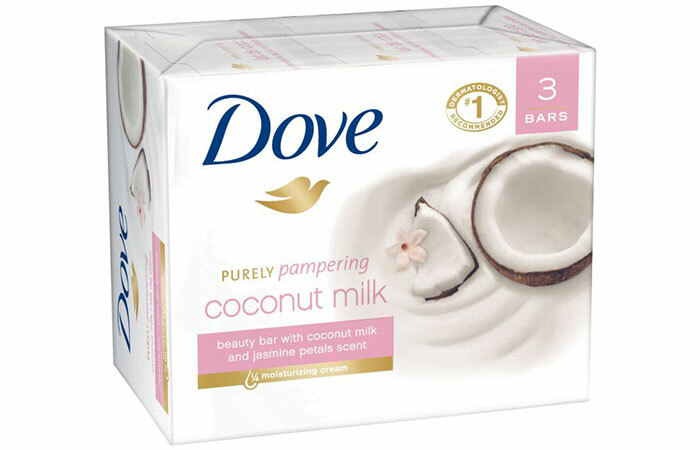 Dove Purely Pampering Coconut Milk Beauty Bar helps you pamper yourself and gives you nourished, beautiful skin with a relaxing bathing experience. The Dove Purely Pampering range has been designed to soothe and moisturize your skin, and this bar soap does just that. It contains coconut milk enveloped in the warm, soothing scent of jasmine petals. This gentle cleanser with 1/4th moisturizing cream leaves you calm and relaxed after your bath. 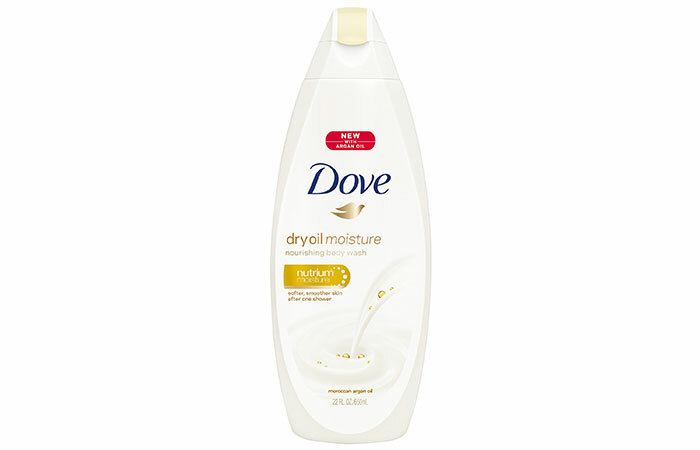 Dove Dry Oil Moisture Nourishing Body Wash is a mild cleansing wash that nourishes and protects your skin from dryness. The gentle formula works into a rich lather that thoroughly cleanses and maintains your skin’s natural moisture and nutrients. This natural body wash infused with Moroccan argan oil makes your skin softer and smoother after every shower. 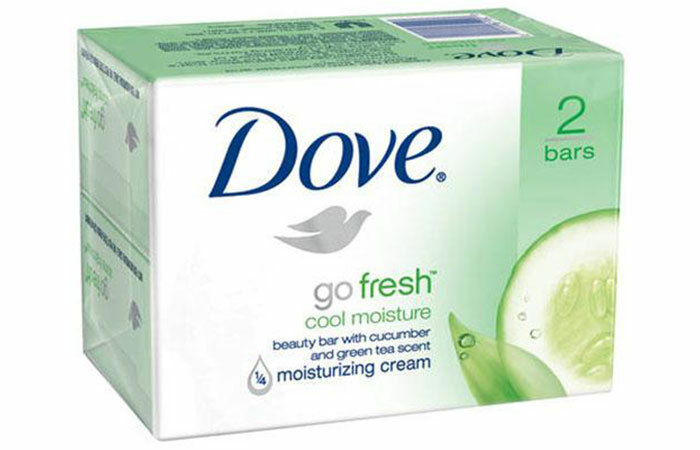 Dove Go Fresh Cool Moisture Beauty Bar helps refresh and hydrate your skin while cleansing it. It combines the Dove signature mild formula of 1/4 moisturizing cream with the crisp, soothing scent of cucumber and green tea. This beauty bar works into a rich, creamy lather to help your skin retain its natural moisture and leaves it feeling softer and smoother than ordinary bar soap. Dove Purely Pampering Shea Butter with Warm Vanilla Body Wash indulges your senses and cares for your skin as you cleanse. The NutriumMoisture technology nourishes deep into the surface layers of your skin and delivers skin-natural nutrients to help it retain its natural moisture. The softening benefits of shea butter leave your skin feeling hydrated while the vanilla extracts lend a delicate fragrance, making bathtime very pleasing. 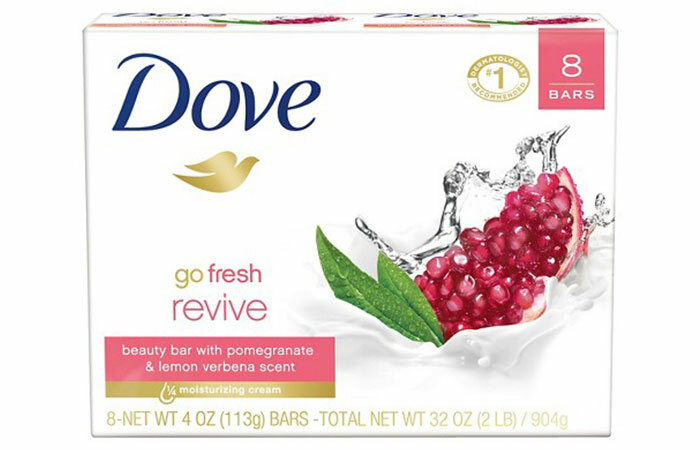 Quench your skin with the Dove Go Fresh Revive Beauty Bar. Its light formula contains 1/4 moisturizing cream to relieve dry skin. With the sparkling scent of pomegranate and lemon verbena, this beauty bar awakens your senses, so you feel refreshed and revived. Unlike the harsh ingredients in ordinary bar soap, which can make your skin feel tight and dry, this beauty bar is gentle and will leave you with clean, soft, and smooth skin. 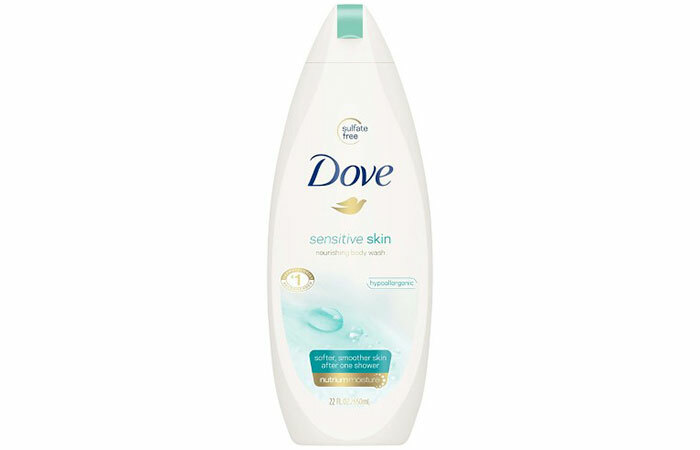 Dove Sensitive Skin Body Wash cares for sensitive skin, even as it provides the familiar rich, creamy lather. Instead of drying out your skin like any regular soap, the NutriumMoisture technology in this mild body wash replenishes your skin with moisturizing nutrients. It helps to maintain your skin’s moisture barrier as you wash and leaves you with softer, smoother skin after every shower. 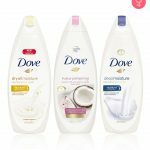 These are the most popular Dove soaps and body washes that you must try out this year. Which of these are you tempted to bring home? Let us know in the comments section below.